Each May for the past several years, I have made a pilgrimage to my parent’s home in Damascus, Virginia. It is my Dad’s birthday and, of course, Mother’s Day, so a perfect time to visit. It is also a perfect time to visit for the spectacle of spring in the mountains. We almost always manage a day trip up to Elk Garden, part of the Mt. Rogers National Recreation Area. Named for the elk that once roamed these mountains, Elk Garden lies between the two tallest mountains peaks in Virgina – Whitetop and Mount Rogers. The elevation at the roadside parking lot at this saddle between the peaks is about 4500 feet. And this year, I made it to the Mt. Rogers Naturalist Rally, an annual gathering of over 100 people that come to learn about the flora, fauna, geology, and history of this unique area. I joined the morning salamander walk and learned a lot about that often difficult to identify group of mountain salamanders (we found eleven species and well over a hundred individual specimens). Unfortunately, it was raining (although the area needs the rain), so I was not able to do much photography until after that hike. This is probably the richest display of wildflowers I have ever seen, so it is a delight to visit each spring and see what is at peak bloom. This year was simply spectacular in spite of the dreary weather. 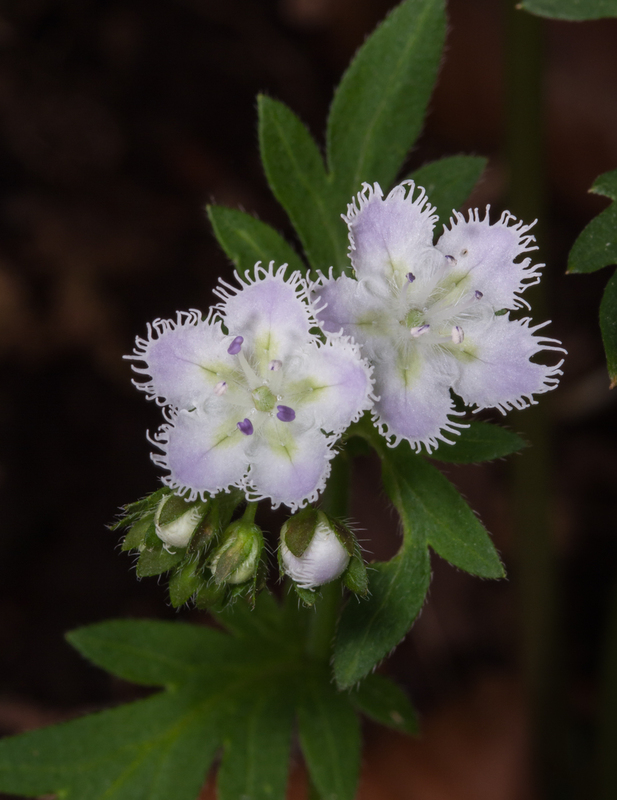 The forest floor at Elk Garden is carpeted with the deeply fringed petals of this beautiful wildflower. As the petals begin to age, they become tinged with purple. This is an unusual species in that it is one of the few winter annuals to be found amongst the many perennials in these rich woodlands. 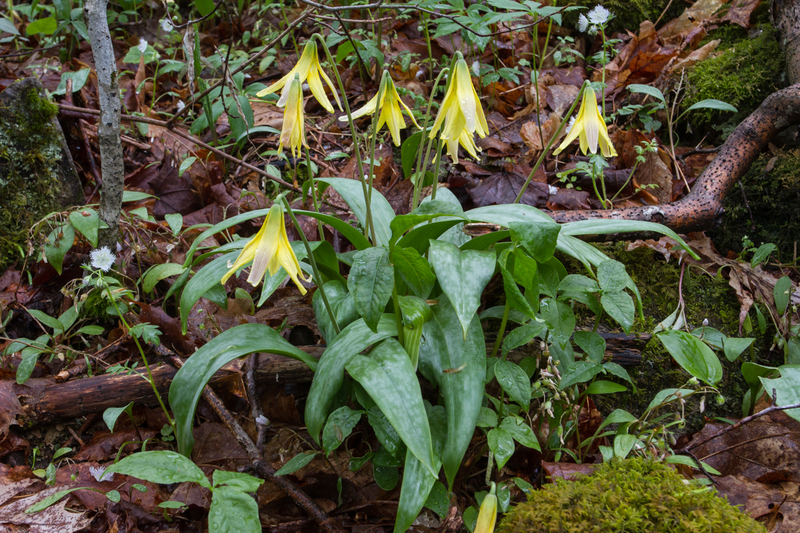 There are also huge populations of Trout Lily on these slopes. 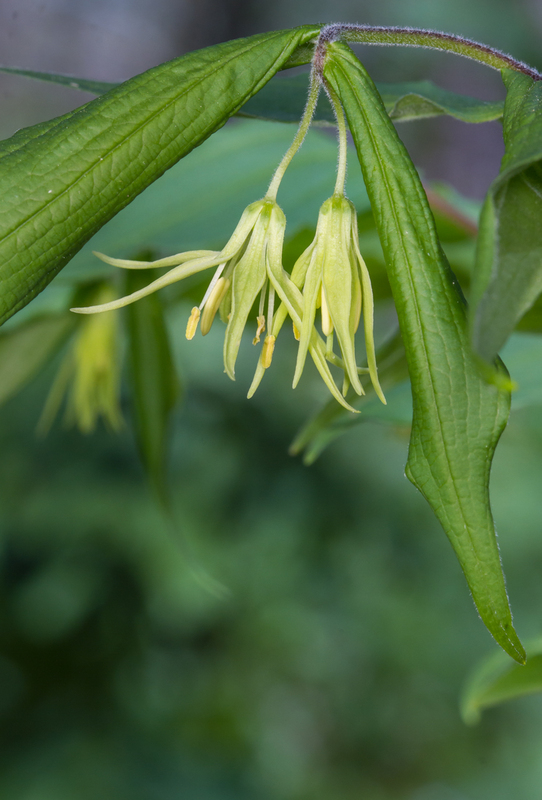 And this year, there were all stages of these flowers, from unopened buds, to waning yellow blossoms. Splashes of maroon and pale yellow were found everywhere you looked. 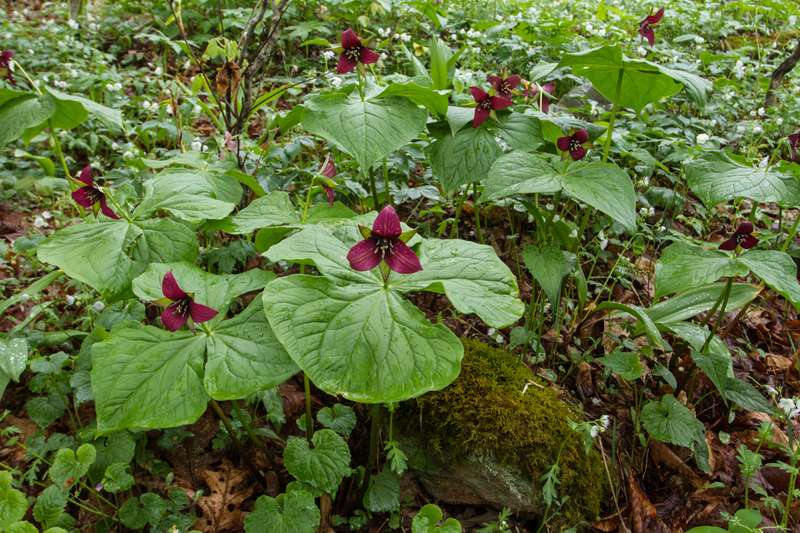 These stately flowers are a type of trillium, specifically a species known as Wake Robin. 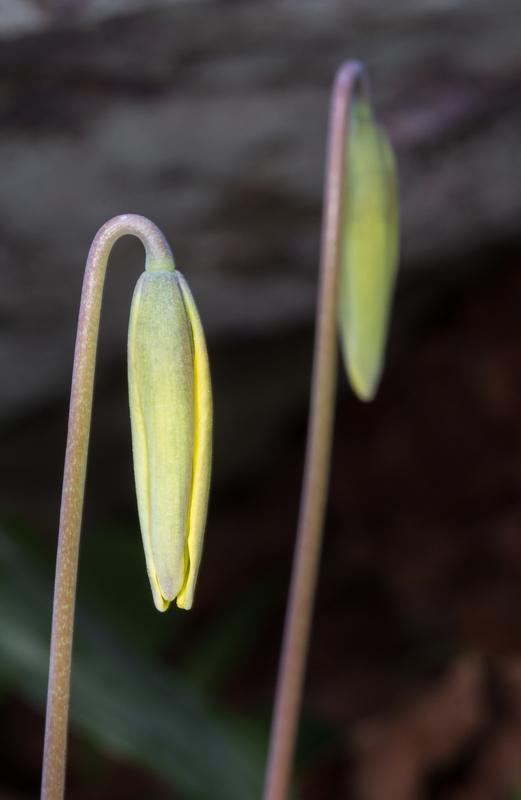 This common name supposedly refers to the time of year when it blooms – spring can officially begin when this species flowers, as its appearance is supposed to wake up the robins. The dominant color of this species at Elk Garden is maroon. There is also a cream-colored or pale yellow variant. 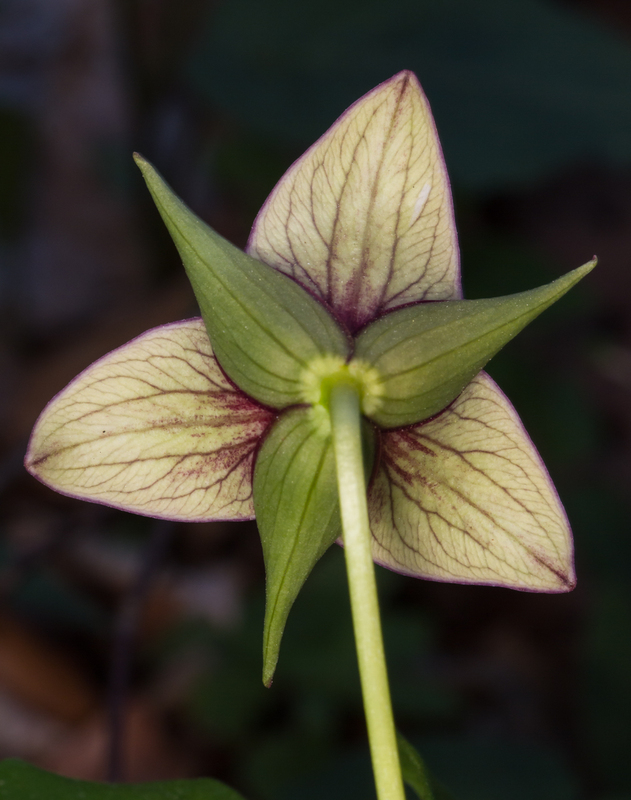 This species can be highly variable in color with maroon and white being fairly common elsewhere in its range. But here, I saw no white flowers, just lots of maroon and some pale yellow and cream-colored ones. I saw several people attempting to get “the shot” of these often slightly nodding flowers, which usually requires some contortions. But, the reverse side is worthy of a look as well (and not nearly as tough to get). 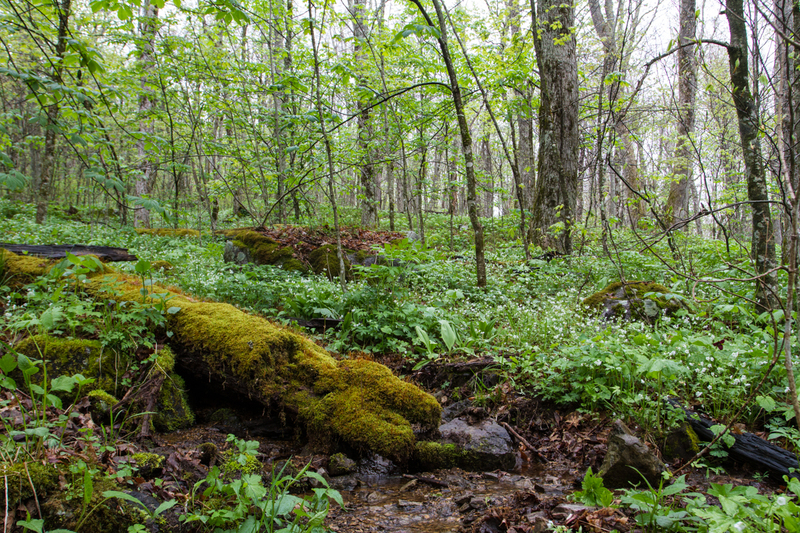 Scattered in patches across the several slopes I visited were patches of two small flowers that are true harbingers of spring – Spring Beauty and Wood Anemone. 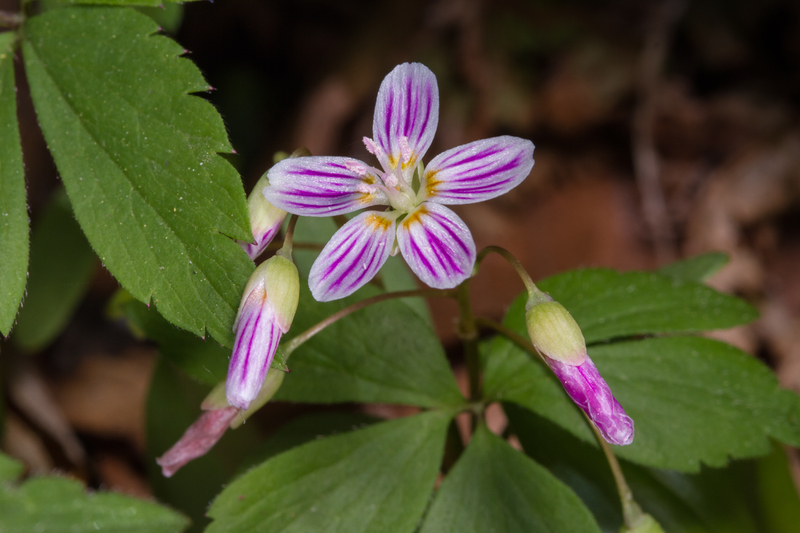 Spring Beauties can be almost all white or have some intense pinkish purple lines on the petals. 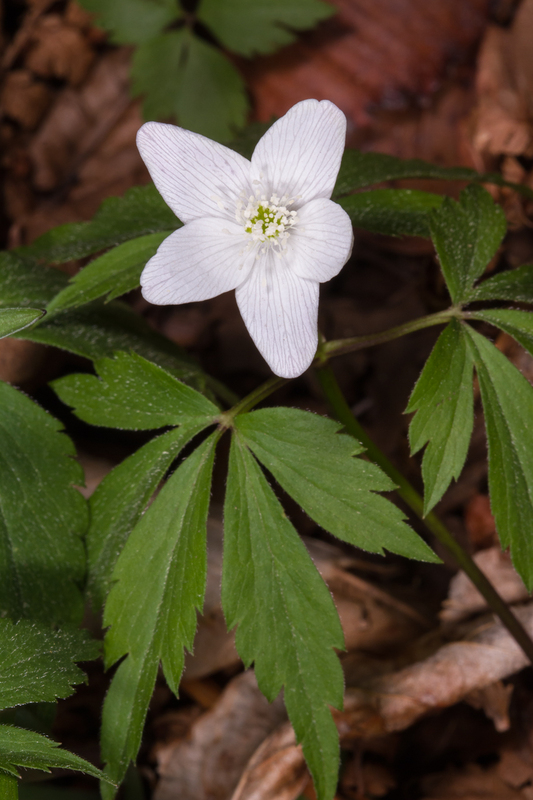 Wood Anemone looks like a delicate 5-petaled flower, but, it actually lacks petals altogether. 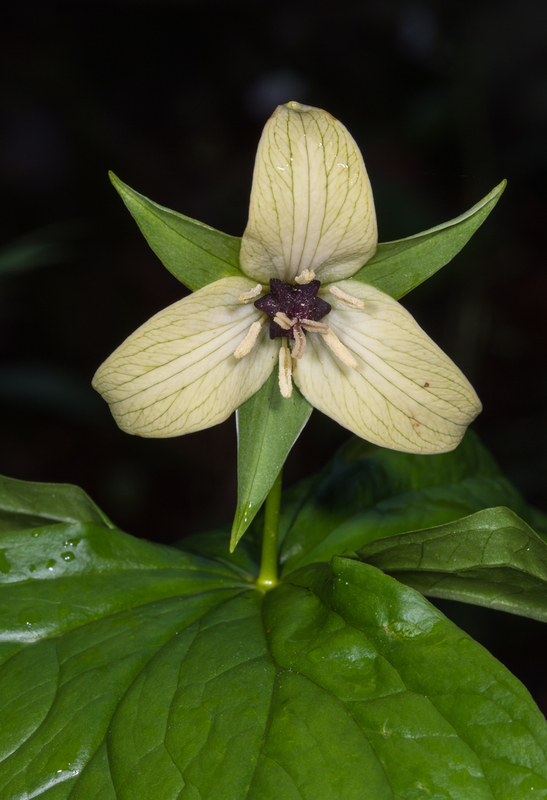 The five white floral parts are the sepals. Two less common species offer a more subdued floral display. Yellow Mandarin tends to hide its flowers under its leaves. 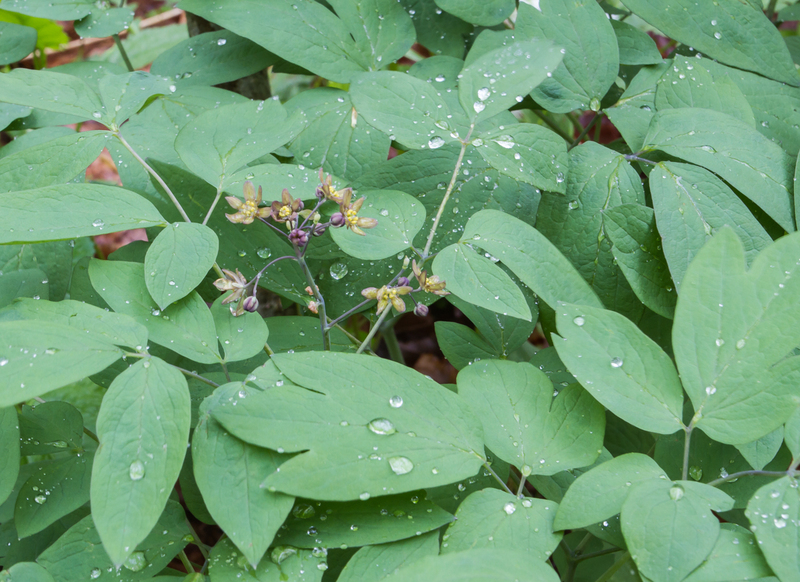 Blue Cohosh has beautiful, blueish-green foliage, and flower clusters that require close inspection to appreciate. 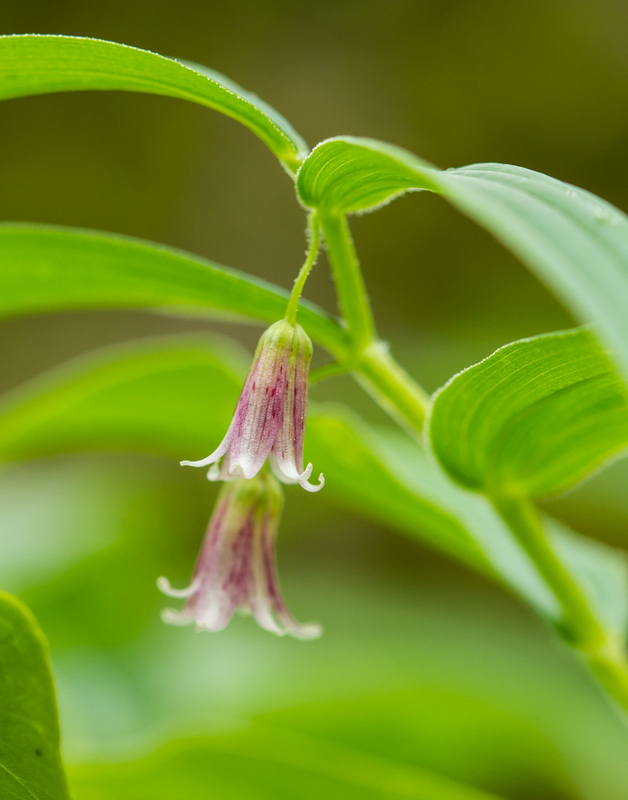 Rose Twisted Stalk is shy wildflower in spite of its heavy metal band sounding name. 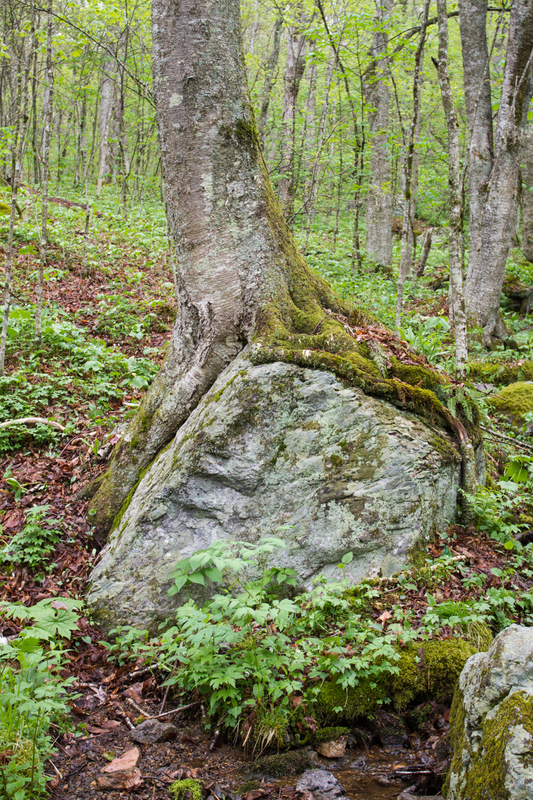 It occurs in a few patches along the main trail up the slope from the parking lot. The small rose-colored flowers hide beneath the lance-shaped leaves. 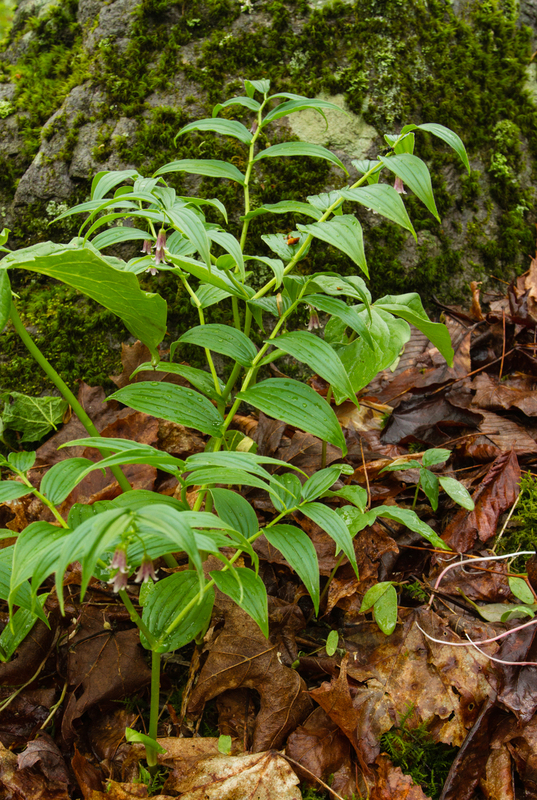 And the plant does have a stalk that is branched and twisted, giving it a distinctive zigzag appearance. 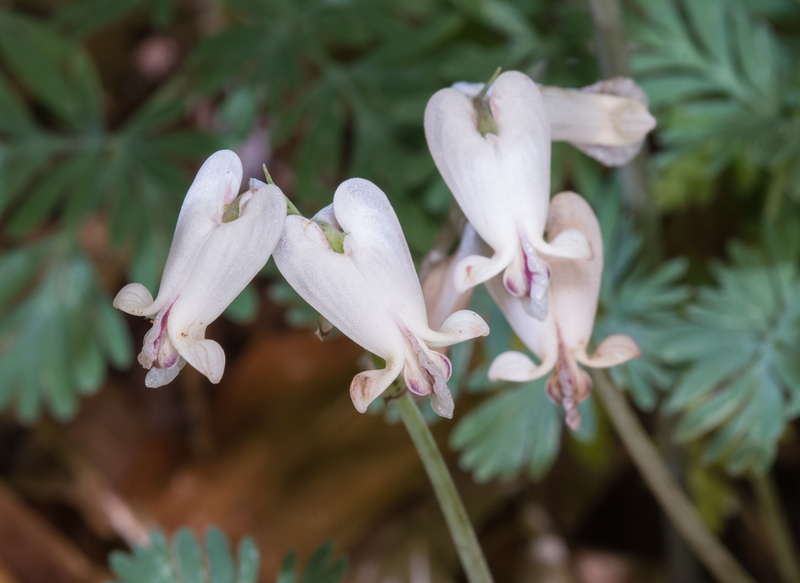 I always look for the unusual flowers of Squirrel Corn along the trail. Many of the flowers were in poor condition, either because they were past their prime, or because of what looks like a dry spring in this area. 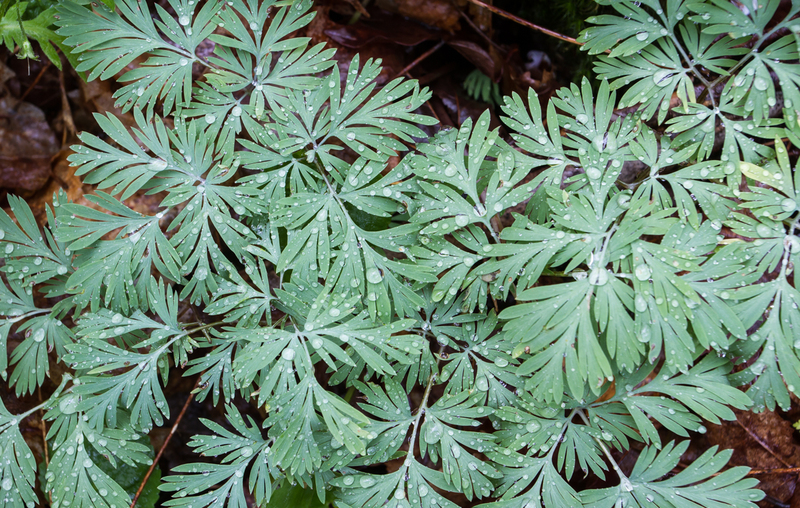 The lacy leaves of Squirrel Corn are almost as attractive as the unusual flowers, especially when covered with rain drops. I always like black and white versions of these images that have so much pattern to them. This unique area has always drawn me to it and I have visited often over the years. The wildflowers are definitely worth a spring trek, so I will be back again next year to celebrate the beauty of the wild garden of the elk. 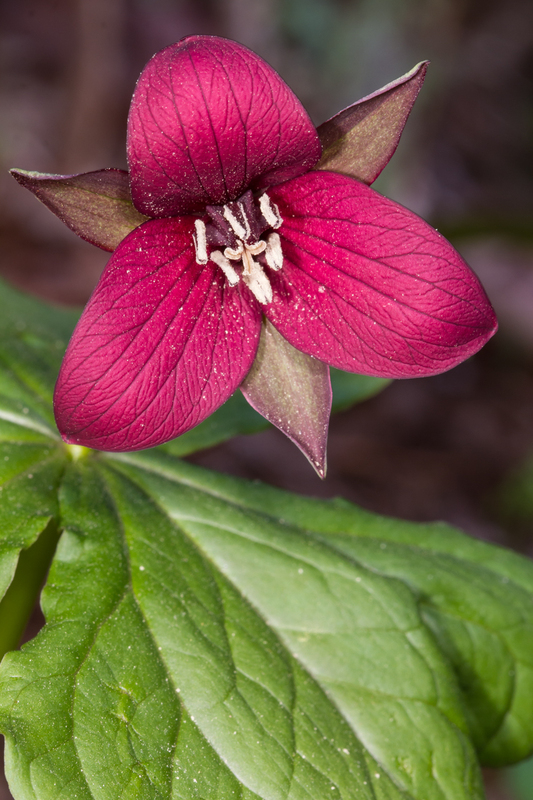 This entry was posted in Natural History and tagged elk garden, spring wildflowers by roadsendnaturalist. Bookmark the permalink. What a great variety you got to see. 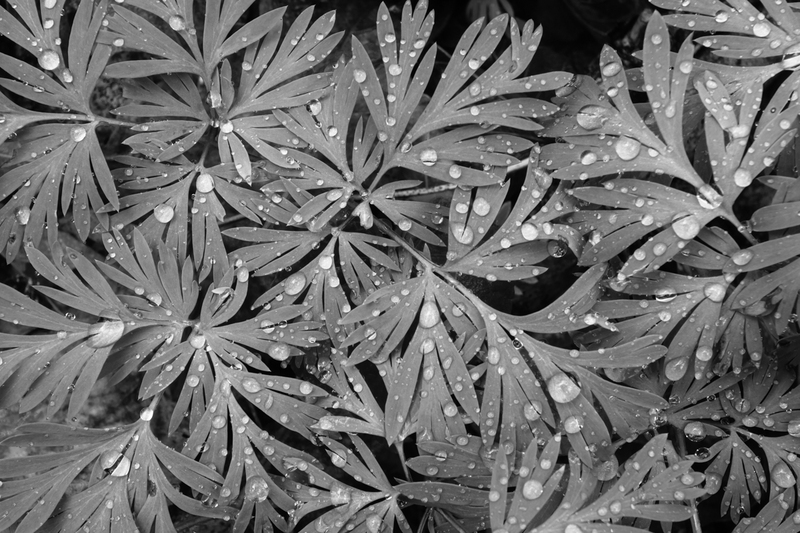 Beautiful pictures, love the drops on the squirrel corn. What a treat! so many lovelies all together. Thanks.